Mix a light application of a balanced organic fertiliser into the soil prior to planting. In late spring, drench plants with a liquid fertiliser just before they come into bloom. Sow stock seeds in midsummer to have seedlings to set out in early autumn, or sow indoors in late winter and set plants out at about the time of your last spring frost. 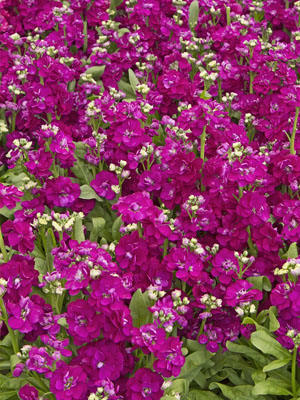 Stock has a shorter bloom time than many other annuals, but it does quite well when handled as a hardy annual in cool maritime climates. Colours include white and many shades of pink. Stock is not tolerant of hard freezes or humid heat. Fragrant stock grows best in cooler areas.